Are you interested in liquidating an estate, moving, divorcing or downsizing from a large home? If so, a public estate sale is your solution. In comparison to a private estate sale, your public estate sale incurs additional time, labor and expense. Our services include: consulting with you, effective advertising, researching important items to form an opinion of fair resale value (not retail value) and/or liquidation value, and sale preparation: sorting, pricing and display. When your estate sale is over, we donate unsold items to a charity of your choice. During this type of estate sale, the public is generally looking for bargains and enjoy haggling so prices must be flexible. Liability and the possibility of accident, breakage and theft are increased with your public sale. While buyers from the general public may buy multiple items, they often purchase only one or two items at a time. However, many of these buyers may re-visit your sale, which could result in it being "sold out to the bare walls!" 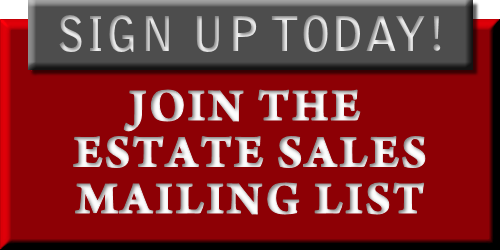 Are you ready for us to host your public estate sale? A buyout occurs when a dealer purchases everything in a house for a wholesale price. The task of organizing personal property to maximize its value can seem overwhelming and many people simply do not have the time. If the personal property is located in a storage facility, co-op, condominium, or apartment house where estate sales are not permitted, heirs or executors can think their only option is a buyout. While a buyout seems like the quickest way to liquidate personal property, Inland Northwest Estate Sales offers ways to empty a house which are as fast but more profitable. These options are Consignment to Estate Sales, Auction Placement Services, and Internet Services. A buyout should only be considered when immediate cash needs to be raised or the value of the items to be sold is determined to be so marginal that taking the time required to pursue maximizing its value with other options is not cost effective. Inland Northwest Estate Sales provides its clients with a comprehensive Buyout Service that purchases the personal property that needs to be liquidated and leaves the premises real estate clean. Are you interested in the professional liquidation of an estate compound? Do you live in a gated community or private condominium? If so, a private or upscale estate sale enables the dispersal of your personal property more quickly with less expense and risk for you. Sophisticated buyers and other professionals with certified appraisal accreditation are invited. These people know the resale or collectible value of period antiques, fine art and jewelry, and expect to pay more than the general public. Liability and the possibility of accident, breakage and theft are lowered by inviting connoisseurs to visit your estate sale. Private buyers buy multiple items or items in lots. In unique situations, it may be necessary to combine a private and public sale (at the end) to achieve maximum results. 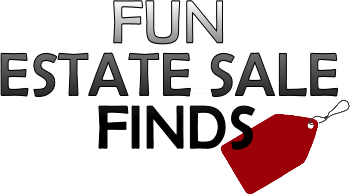 Our private estate sale service includes a professional team of security officers who ensure the safety of not only your belongings but the customers who attend this sale. 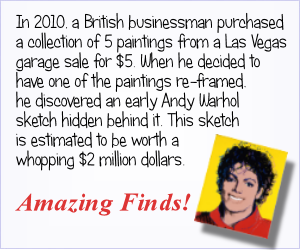 Thank you for inquiring about our Services and how we can work together to achieve your estate sale goal. We are excited about the prospect of working with you and truly appreciate your interest. 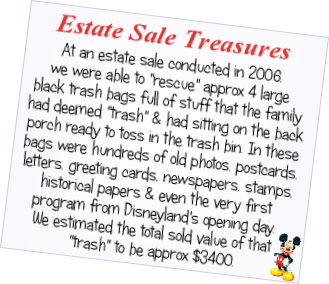 To ensure the best results for our clients, we are very selective about the estate sales we choose to do. If you think that we care, we are professional, we are honest and trusted, then we are at your service!